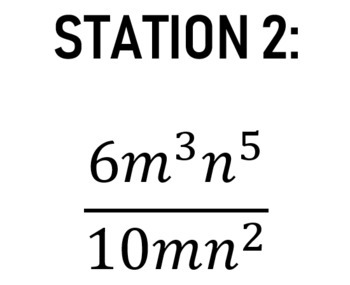 This 10 station circuit can be used for practice of the product and quotient property of laws of exponents. It includes a recording sheet AND an answer key for the circuit. I was having a hard time finding a good engaging activity for only practice on these two properties specifically. 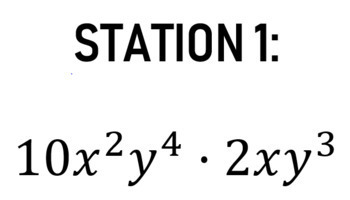 This circuit does NOT incorporate negative exponents, as we will cover this topic the following day. I've always put stations up around the room, and allowed students to move around the room completing the stations at their own pace. Another strategy is setting a timer and allow students to only move when their time is up. Yet another variation would be to just use the circuit as a task card activity. Hope you enjoy!